Denver Aikikai hosts the Aikido Summit every year at the Buddhist temple downtown. It is a good opportunity to practice a variety of styles and see aikido from different perspectives. Every year Mark Larson Sensei and Minnesota Aiki Shuren Dojo host a seminar on the St. John's campus in Collegeville, MN. 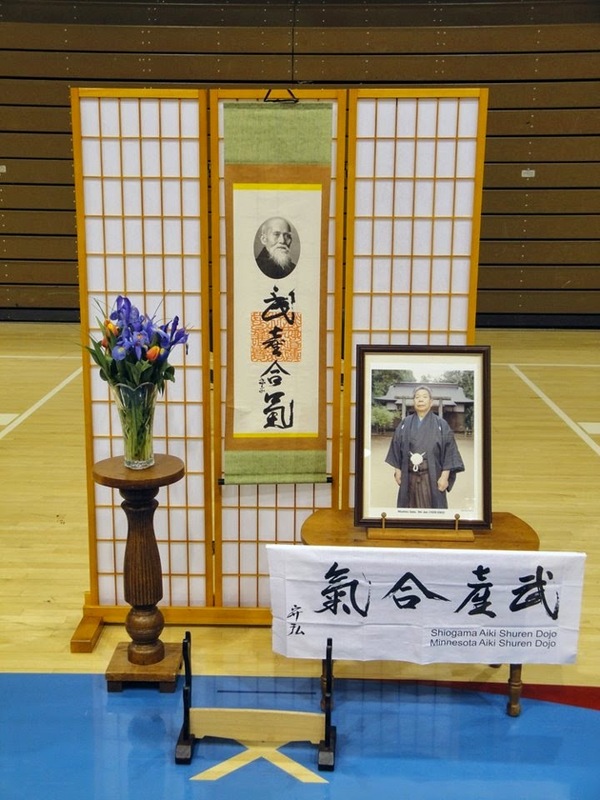 Minnesota Aiki Shuren Dojo, with dojo-cho, Mark Larson Sensei (6th Dan), and the College of St. Benedict and St. John’s University Aikido Club invite you to join us for our annual Spring Seminar, April 11 & 12, 2015, at Saint John’s University. Seminar is instructed by founder of Aikido of South Florida, Stephanie Yap Sensei, who has earned a 6th degree black belt and the Menkyo Kaiden in Aiki-Ken and Aiki-Jo, awarded to her by the late Morihiro Saito Sensei, 9th dan. 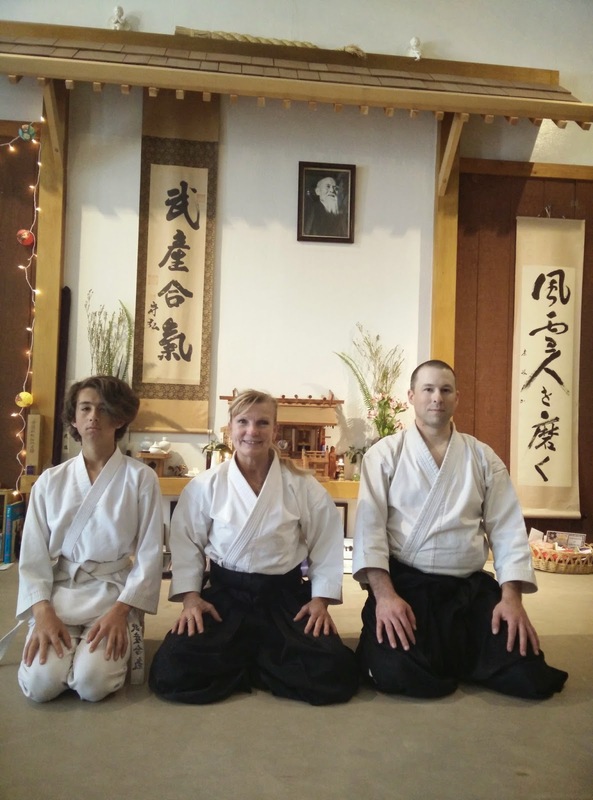 Stephanie Yap Sensei represents Iwama Shinshin Aiki Shurenkai, USA, and is the highest ranking woman in the organization. This week we're working on the ken-tai-jo forms currently practiced in Iwama and shown by Pat Hendricks Shihan a couple of weeks ago at the CAA Division 1 training. In the video, note the first (standard) ending of each form as we will be working on the first 3 this week. We're working on ushiro techniques this week. Charles-sensei and Tyffany will be attending the 2015 Spring seminar hosted by Minnesota Aiki Shuren Dojo in Collegeville, MN. It's always a great time of training, meeting new people, and reacquainting with old. Hope to see you there!